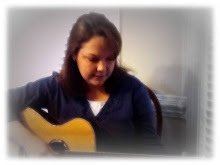 As a blogger, I read several blogs each day. 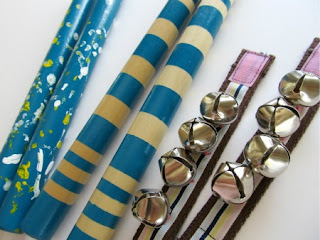 One of my favorite blogs, Kidz, posted some awesome Do it Yourself rhythm instrument ideas today! You're gonna love these ideas and I can't wait to make some of them myself. When making homemade instruments, the ultimate question is, "How long will these hold up?" No one really knows for sure, and we all work with different populations that cause different wear and tear on our instruments. One thing in particular you want to be careful about when making your own instruments, is making sure items, like bells, are firmly attached. They are one of the first things to come off of homemade and store-bought instruments and they pose a huge choking hazard too! I routinely check my bell collection to see if any of the little bells appear to be almost ready to come off. If you're going to make homemade egg shakers or maraccas, just be sure whatever container you're using is firmly sealed. I have yet to find a way to make maraccas that withstands the use of most of my clients. Somehow they eventually crack open and beans or rice go everywhere! With homemade rhythm sticks, after they are cut to the right size, they need to be sanded. They should feel smooth anywhere clients are going to be holding them. Also, if you're going to paint them, make sure you finish them off with a clear coat of sealer so that young (and older) students don't get paint residue and/or paint chips in their mouth if they happen to put the sticks in their mouth. Painting them with a coat of sealer also makes them easier to disinfect with a Chlorox wipe without wiping coats of the paint color off. What DIY rhythm instruments have you made? Feel free to share ideas below!